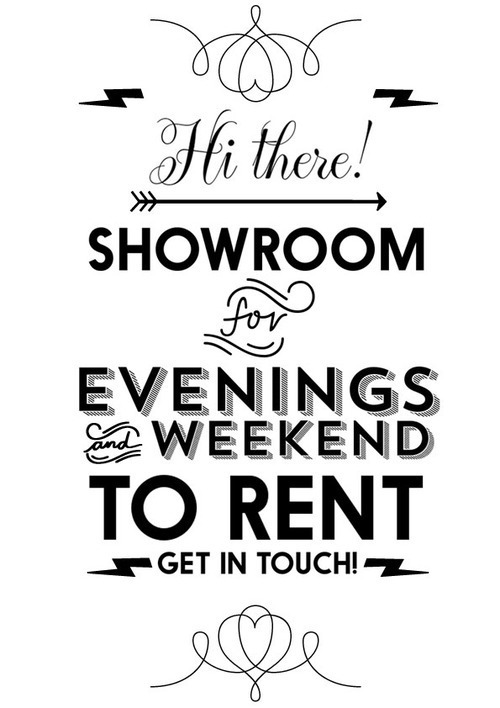 Letters Are My Friends | SHOWROOM FOR RENT! As we love our showroom, we would like to see it used by others. We would love to rent it out over weekends i.e. for workshops or for regulary actions like yoga, massages or whatever stuff you wanna do in a room like that after 8pm in the evening, without messing it up. Every ideas might find an ear, except of parties This space is perfect for photo & videoshootings or/and interviewsessions.As we might be out of Berlin for the summer, we could also talk about a summerresidence of a month or two or even a studioswap could work, depending where you live and what you do. Talk with Bärbel Bold and write her to bb@lettersaremyfriends.com. P.S. Also, if you have an idea for an event which matches with the idea of Letters Are My Friends – bring it on. It might find a slot within a colaboration. We are open!